During ELMA implementation, you often need to create dynamic forms to satisfy the customer’s needs. 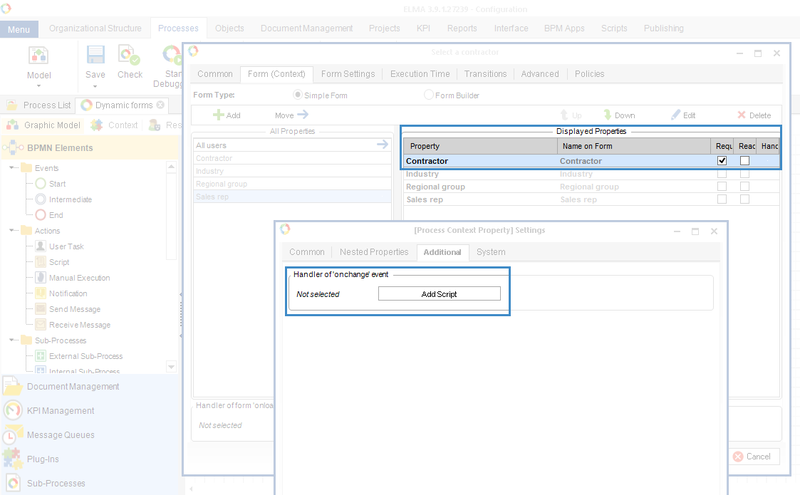 In ELMA you create dynamic forms using handlers of onload or onchange events. 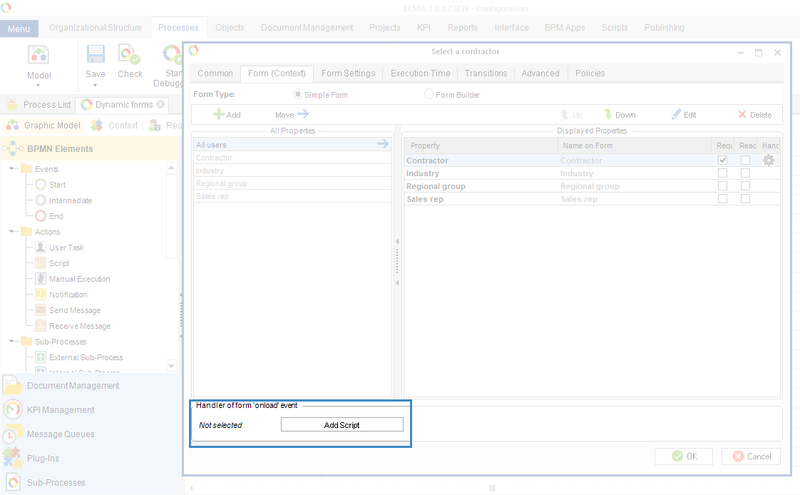 Let’s see how you can create a dynamic form of a business process task. E.g. when you select a contractor, you need also display the information about it on the form. Now, when you select a contractor, the information about it will be displayed on the form in read-only mode. Note, that when you call the For() method, you must pass a lambda expression to it to define the form field to work with. When you create dynamic forms, you can only work with the variables that are added to the form.